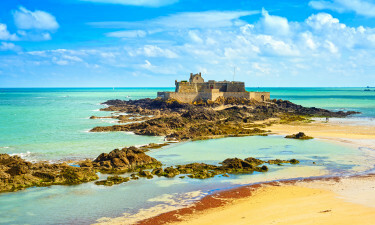 Brittany’s coastline varies from rugged cliffs and sandy coves in the north and expansive beaches in the south. For the next luxury camping holiday, bring your family to Brittany for the sandy beaches and tranquil countryside. 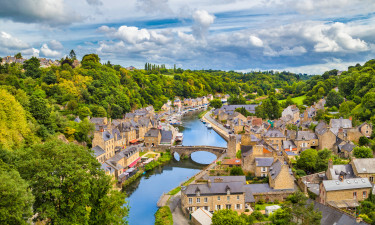 Named for the Britons who fled across the Channel in the 4th Century to escape the invading Anglo Saxons, culturally Brittany is distinct from the rest of France. The most popular campsites in Brittany are Domaine des Ormes, Chateau de Gallinee, and Le Grande Metairie. Domaine des Ormes is equally close to the tourist destinations St. Malo, Mont St. Michel, and Dinan and set in 200 hectares of wooded parkland with a lake. Mobile homes are organized as small villages to allow easy access to the facilities. Chateau de Gallinee is a luxury camping site set in a park of oak and lime trees. The camp site is a 5-minute drive from the best beaches on the Emerald Coast. Each mobile homes and bungalow tent is separated by hedges for individual family privacy. Le Grand Metarier is located in southern Brittany on 15 hectares of parkland opposite Carnac and 3 km from sandy beaches. Relaxation is yours in one of LUX-camp’s luxurious mobile homes. Sports facilities and fun and games for children are standard at LUX-camp sites. Britons describe their land as divided into two regions, land of the seas and land of the forests. The former is blessed with numerous beaches along its coastline. For the classic pail and shovel beach, visit Plage de l’Ecluse. South of Carnac, the beaches become more rugged, for example Quiberon. Further south, La Boule has a fine beach with a promenade. Inland Brittany can best be explored through its waterways. The forested areas around Heulgoat are well worth a visit. The cultural hubs of Brittany are Nantes and Rennes. Nantes, the capital, was the major seaport and by the 1800s, it was transformed into the national industrial centre. Notable attractions are Nantes Cathedral and the Chateau des Ducs de Bretagne. 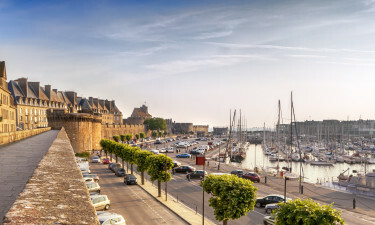 Rennes is one of two digital and ITC centres of France with branches of large firms such as Canon, Mitsubishi, and Texas Instruments among many others residing in the city. 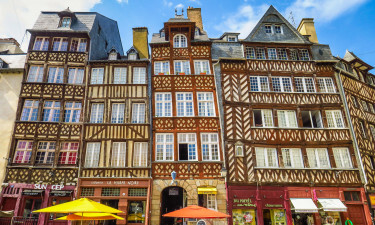 In addition to technology, Rennes is known for its music and film festivals. Mont St. Michel, a medieval abbey on a tiny island, has been a popular tourist destination for two centuries. The granite ramparts of St. Malo echo with the ghostly cries of ancient pirates. Adventurers still search for buried pirate treasury along the coast. Carnac has the world’s largest collection of megaliths. More than 3,000 standing stones date back to 4,500 BC. Arthurian legends say the stones stand in straight lines because they were Roman legions turned to stone by Merlin. Britons identify culturally with the Celtic areas of Cornwall and Wales, rather than the rest of France. The traditional costumes, captured so well in Gauguin’s paintings, are still worn on special occasions. 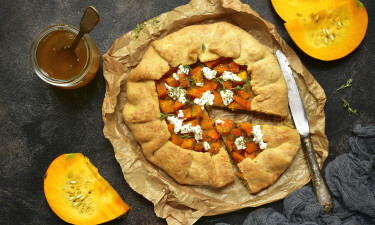 Brittany's unique cuisine is most noted for its succulent seafood platter, served to a minimum of 2 people, and specialty pancakes, the thin sweet crêpes and savoury buckwheat galettes. Brittany is a north temperate zone. As with most maritime climates, coastal areas tend to be milder near the coast. There is only a 15° C difference between winter and summer. During the summer, the temperature can reach to 30° C but still remains comfortable. It does not have distinct dry season and rain occurs at the same rate year round.